The coach of Wigton’s first ever boxing champion hopes the teenager can inspire a new generation to sporting glory. Robbie Pattinson won the North West Junior welterweight title when he defeated Lancashire’s Jamie Price on points in Leigh. Despite giving away considerable height and reach advantage to Price, Pattinson floored his opponent in the first round and controlled the bout. 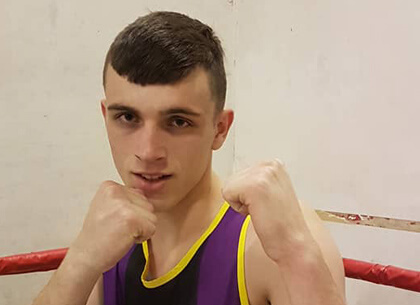 The 15-year-old became the first boxer from Wigton Amateur Boxing Club to win a title, and the Nelson Thomlinson School pupil is now unbeaten in three contests. Wigton coach Andi Crossman said: It is the first time anybody from Wigton has ever won a title. The town never had a boxing club, never mind a champion. Pattinson took up boxing when he was 10 but was forced to throw in the towel when Wigton ABC closed down for three years after losing its premises. He went to play rugby for Wigton instead but then returned to the ring when the boxing club reopened 18 months ago at Water Street Fitness Centre. Wigton now has around 50 members, from juniors to seniors, who train most nights and eight of them are now taking part in amateur bouts.